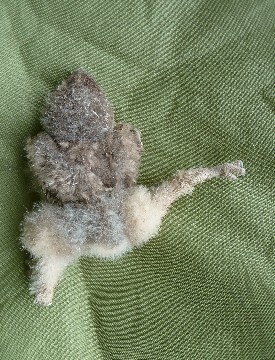 Have you observed this deformity in Little Owls? Earlier on today, I stumbled across a new Little Owl breeding site in a Barn Owl nest box in Wiltshire. My joy was short-lived, as sadly the one remaining chick was seriously deformed. Its legs were splayed and fixed in their position, its talons had missing toes, its wings hadn't developed, and its spine appears to be curved. The mother was still feeding this chick. It was face down in the nest box, which was distressing to see. This is the third time in five years that we’ve observed this chick deformity in Wiltshire. The three nests were in different locations, and a substantial distance apart. There was more than one chick with this deformity in the two other broods. 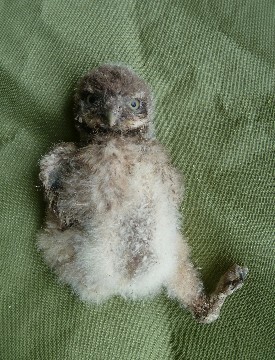 Have you observed this deformity in Little Owl chicks before? If yes, please get in touch with me here.